The eyes of the music world falls upon the Isle of Wight during June as it hosts the annual Isle of Wight music festival. Of course, there are many other reasons to visit this wonderful seaside destination with its beautiful beaches, historic sites and mysterious chines. Here’s our guide to the Isle of Wight. This beloved festival is held annually in Seaclose Park, Newport and welcomes over 60,000 visitors every year. The first festival was held on the island in 1968 and increased in popularity every year up until 1970 when 600,000 people visited to watch Jimi Hendrix headline. Due to such high attendance levels, Parliament banned such large gatherings on the island and so from 1971, the festival was no more. Thankfully, the festival was reborn in 2002 and hasn’t looked back since with attendance levels gradually rising. 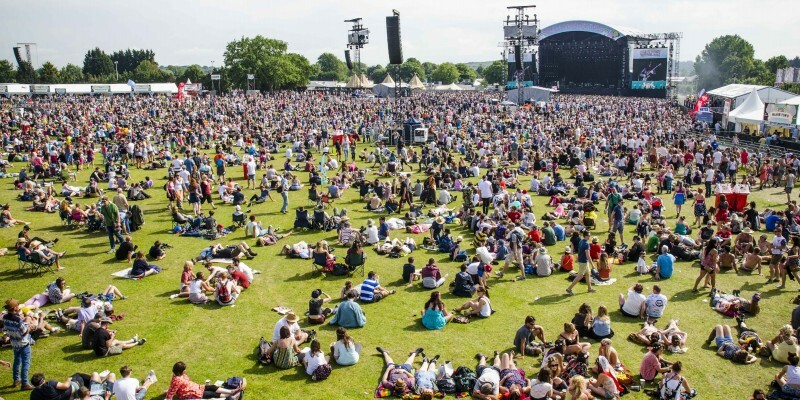 This year’s 3 day festival runs from 13th-16th June and plays host to Paul Weller, Bon Jovi, The Killer and The Stone Roses, plus a long line of bands, artists and DJs. Tickets are still available and cost £181 for weekend day tickets and £196 if you want to camp on site. The Isle of Wight has long been famous for its many beaches, with Queen Victoria really helping to boost the island as a tourist destination. Ryde is a famed seaside town and is home to one of the longest piers in England. I would also recommend Shanklin and Sandown which are both wonderful seaside resorts and have perfect golden beaches. Shanklin Chine is a magical place to visit, especially for children as this gorge and its waterfalls truly feels as though you’ve stepped into a fairytale. If you’re enthralled by the Chine, take a trip along the coast to Ventnor to the world famous Blackgang Chine which is also home to one of the oldest theme parks in England. Sandown is home to many attractions, including The Isle of Wight Zoo and Dinosaur Isle which explores the prehistoric history of the island. You can even go on a guided hunt for your own fossils. Osborne House was once the beloved holiday home of Queen Victoria and her husband Albert. After Albert’s death, Victoria sought solace here and proved to be where she lived out her final days. This beautiful Victorian building provides a personal look at this family home as well as magnificent gardens to explore. Victoria’s private beach has been recently opened to the public, complete with the original bathing machine. Located on the island’s most westerly point, The Needles is an iconic location. Here three small islands and their lighthouse emerge gracefully from the sea, just off the coast. Boat trips are available from Alum Bay which take you closer to The Needles for a dramatic ride around. They can also be viewed from The Needles Battery, a coastal defence that still stands today complete with original guns. Views from here are stunning, looking out over The Solent and even across to Dorset on a clear day. When travelling to the Isle of Wight, you have two choices of transportation. If you’re bringing your own car, catch the ferry over from Portsmouth, Lymington or Southampton which will bring you to either East Cowes, West Cowes, Ryde, Fishbourne or Yarmouth depending on the service you choose. Ferry journeys last between 20 minutes to an hour. If you’re just a foot passenger, travel by hovercraft which takes just 10 minutes and is a fun ride over to the island. Frequent services take you from Southsea to Ryde. There is varied accommodation available on the island including holiday homes, caravan sites, bed and breakfasts, hotels and camping sites. I would recommend staying in Cowes if you want to enjoy a luxury holiday as it’s home to some wonderful cottages. If you’re coming for the festival and don’t have on-site camping, Rookley Country Park in Newport is a fantastic holiday park to stay in.